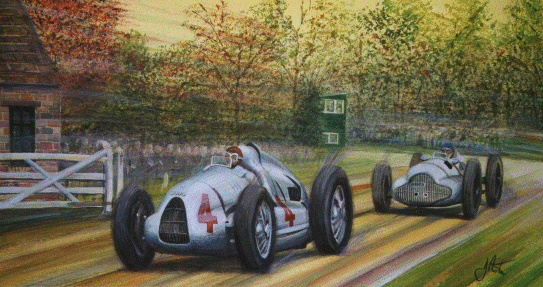 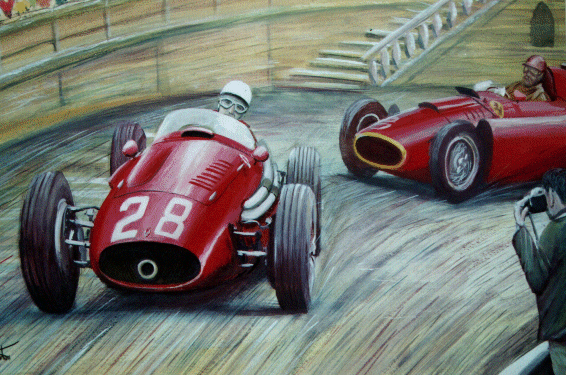 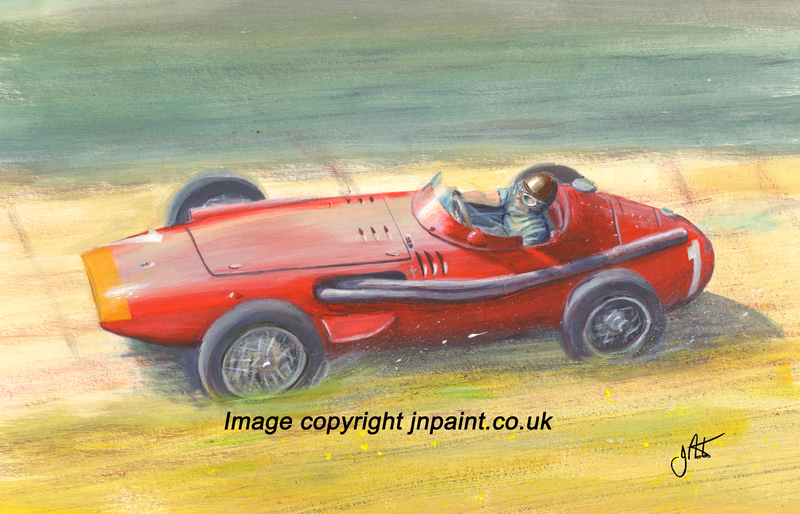 The Auto Union of Tazio Nuvolari leads the 1935 British Grand Prix at Donnington. 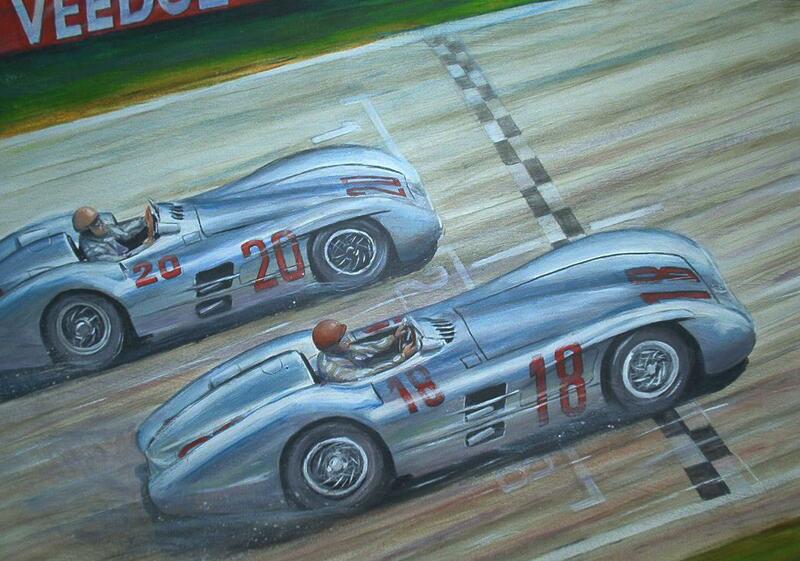 Juan Manuel Fangio crosses the finishing line at the French Grand Prix at Reims in 1954 in the streamliner W196 Mercedes ahead of the sister car of Karl Kling . 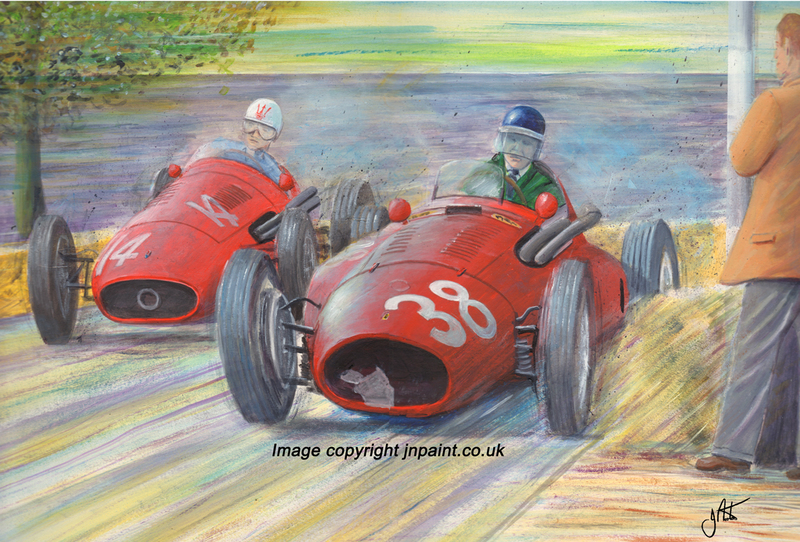 Original painting (60cm x 40cm) for sale £185.00, mounted but unframed.